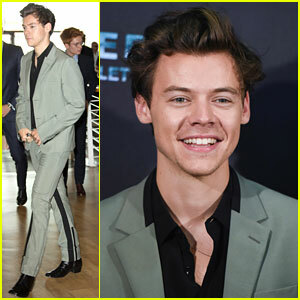 Harry Styles Looks Dreamy at Premiere of His First-Ever Film ‘Dunkirk’ | Fionn Whitehead, Harry Styles, Tom Glynn-Carney | Just Jared Jr.
Harry Styles suits up for the premiere of his first acting gig Dunkirk held at Odeon Leicester Square on Thursday (July 13) in London, England. 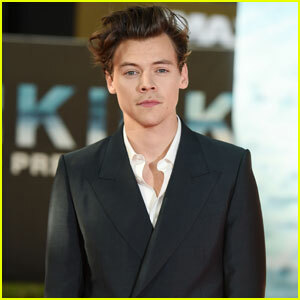 The 23-year-old “Sign of the Times” singer was joined by his co-stars Tom Hardy, Fionn Whitehead, Tom Glynn-Carney, and more. The film follows allied soldiers from Belgium, the British Empire, Canada, and France who are surrounded by the German army and evacuated during a fierce battle in World War II. Dunkirk hits theaters on July 21.